Free beer! Putting customers first in a small Irish Wisconsin pub. So there’s this small tavern in the small town of Fort Atkinson, Wisconsin a few miles from my home. It’s called Paddy Caughlin’s Irish Pub. It’s wonderful. Alas, I didn’t celebrate my Irish brethren there this year. (This photo was taken last summer.) But the photo shows an incredible idea for how you can put your customers first – let other customers buy them something. In this case, it’s a beer. 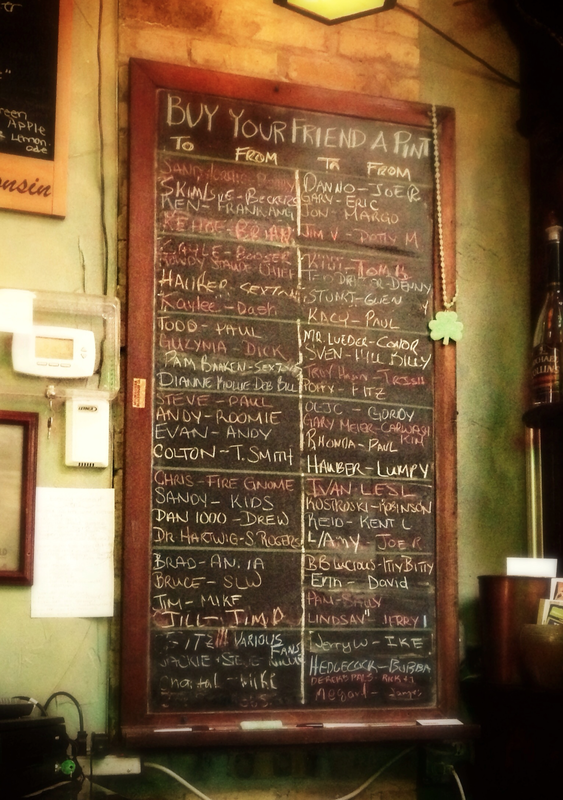 This simple “pay it forward” chart shows who bought a beer for a pal, and who has a free beer coming their way. This idea plays into the neighborhood hangout brand that they’re trying to carve out. It encourages word of mouth. And it means instant revenue for the bar; with 15 to 20 percent of gift cards going completely unused, it’s likely that this is a pretty profitable tactic. Free beer? Great idea, Paddy.